The trend of growing intensity and extremity of recent wildfires has triggered new research by scientists at UC Santa Barbara’s Bren School of Environmental Science & Management and at the National Center for Atmospheric Research. 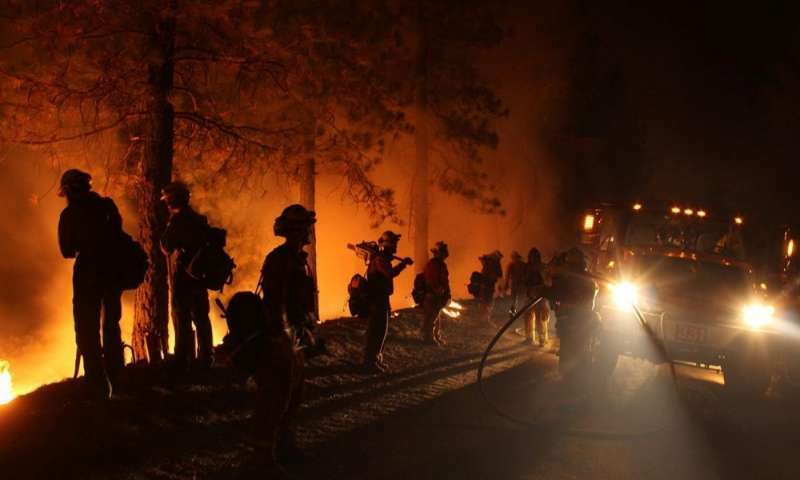 Their question: How is one of our most significant climate patterns—the El Niño/Southern Oscillation (ENSO)—being affected by a warming Earth and how, in turn, is that pattern affecting the likelihood and intensity of future wildfires? Their findings could have implications on land use and on wildfire fighting and prevention strategies at urban/wildland interfaces. Like many climate-based events, which take place over long timescales, tracking the ripple effects of a climate pattern can be difficult, given the many individual processes that can affect the result. ENSO—the collective name for the ocean-warming El Niño weather pattern and its complementary ocean-cooling La Niña pattern—has particularly complex and extreme teleconnections. It drives drought in some places while promoting fertile vegetation in others. Food sources may dwindle in some regions, while fresh water supplies may be built in others. In the process, human populations and their supports—such as agricultural production, energy use and fire prevention—are affected. The researchers used large “ensemble” sets of climate simulations, projecting future climate under a business-as-usual climate scenario assuming no major efforts to combat climate change. 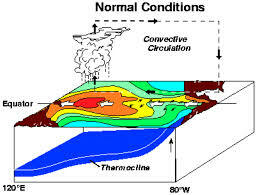 They then examined changes in the sensitivities of regional climate to ENSO-related sea surface temperature anomalies between the historical period and the late 21st century. In addition to looking at changes in ENSO-driven temperature and rainfall patterns, one of the climate models (the Community Earth System Model, or CESM) includes a wildfire scheme that simulates the risk of fire activity based on factors such as soil moisture, fuel load and applied statistical relationships between fire season length and burned area to simulate fire activity. All of the quantities the researchers examined showed an increase in the future effects of El Niño and La Niña events—in other words, we can expect a larger ENSO-driven “bang for your buck” in the future. “Future ENSO is having a larger impact on the land surface since the Earth is warming—and it’s easier for land to warm than the ocean in general, because it has a lower heat capacity—so the land is going to be evaporating more moisture,” Stevenson said. Add an El Niño event on top of that, she added, and the level of evaporation will increase. With drier soils and fuels, the likelihood and intensity of wildfires are also bound to increase.